I read this article and found it very interesting, thought it might be something for you. 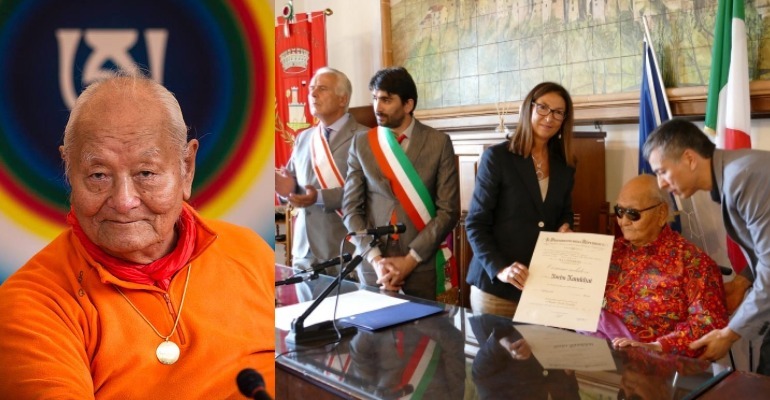 The article is called Tibetan Buddhist master Prof Namkhai Norbu Rinpoche receives Italy’s highest honour and is located at https://tibet.net/2018/09/tibetan-buddhist-master-prof-namkhai-norbu-rinpoche-receives-italys-highest-honour/. ARCIDOSSO, Italy: One of the foremost Tibetan Buddhist master, Professor Namkhai Norbu Rinpoche, was honoured with Italy’s highest recognition, Commander of the Order of Merit of the Italian Republic on Monday.